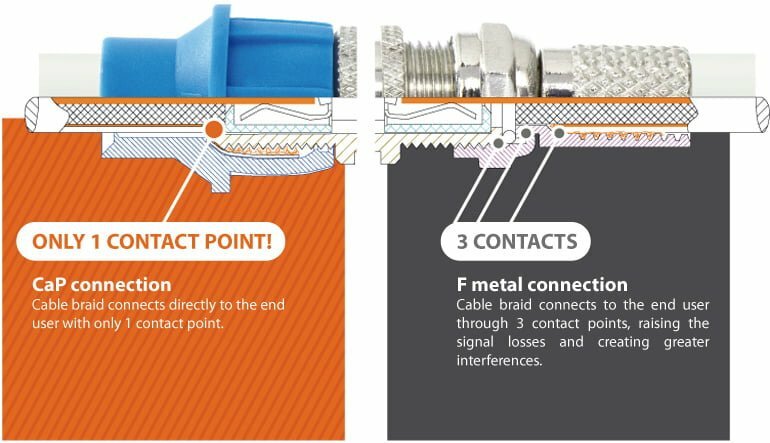 The CaP, patented heart of the CaP System, is a revolutionary non-metallic F male connector designed to make every coaxial termination simple, quick and reliable and to drastically reduce all typical problems which arise in terminating coaxial cables. CaP, used with our specific adapters becomes a connector usable in all existing coaxial standards. 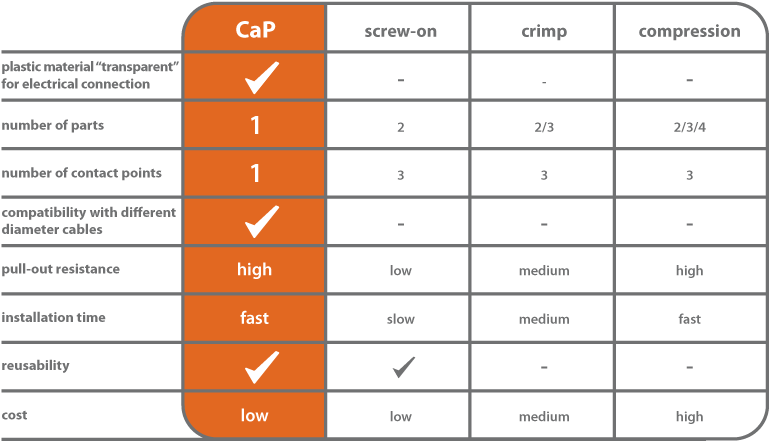 CaP, applied directly onto any device equipped with F female connectors, allows for the best possible quality connection. - it is economical without effecting the quality. As shown in the image aside, CaP is the only connector which can offer a direct connection between the cable and the device, thanks to the patented idea of the CaP System. Indeed the CaP is a simple mechanical solution to keep strongly together the cable to the F female through only one point of contact. 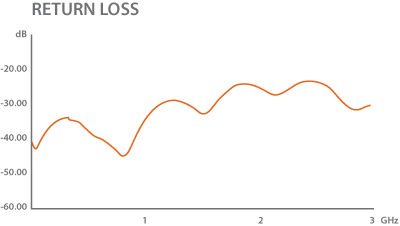 Only one point of contact means a lower loss of the signal and a better matching of the connection. 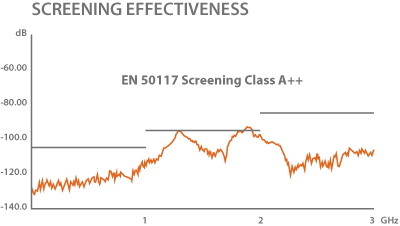 CaP is certified as a F male connector with a Class A + screening. 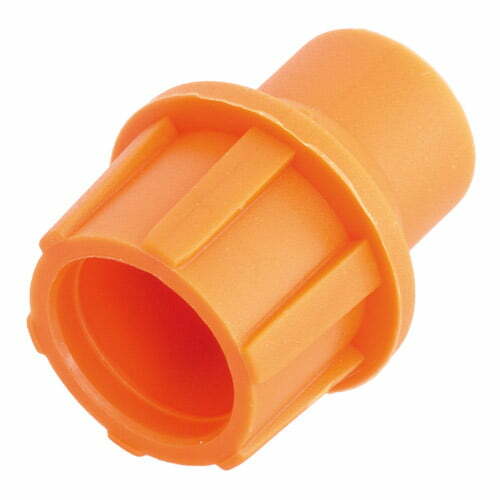 CaP is certified as a F male connector with a return loss of > 23,02 dB @ 0÷3000 MHz.